CLARIFIRE hosted a webinar in early December, where we gathered three top patient experience experts and asked them today’s challenging patient experience questions. They all agreed, there are three key factors to drive patient experience scores forward. We’ve served them up below so you can create the experience your patients are craving. The first success factor is creating a patient-centered culture. Which experts agree, is all about how the hospital system’s leadership team defines a positive patient experience. For our panelists, they felt that patient loyalty is a critical component of defining your patient-centered culture. Start with family members. Include them in bedside communications, rounding activities and service. Also, treat each patient like a person first. Go the extra mile to make them feel like family. This can be done by offering necessities like phone chargers, reading glasses, journals, and warm blankets. Some hospital systems are also using their rounding technology to do on-the-fly preference tracking. This helps establish a connection with patient likes and dislikes and makes them aware of any historical service recovery efforts, which helps assure the same mistake doesn’t happen twice. To achieve a positive patient experience culture, staff engagement is required. 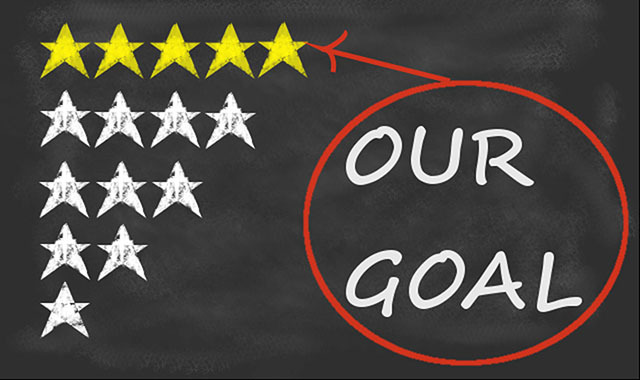 Employee engagement must be high and they need to be rewarded with a structure performance management system. Leadership needs to ensure that the value system they are creating is demonstrated. The bottom line is if everyone agrees upon what optimum care looks like, your efforts will be aligned. The second success factor is service excellence. We all know this is essential, but the key here is making sure it is collaborative. Start with breaking down the silos within each discipline and eliminate the gaps of care. Patient experience training and models offered to bedside care must be offered to other disciplines as well. Don’t neglect housekeeping, dietary, or anyone what touches the patient. Get service training to include those groups and make them part of the process. One panelist reported that they have their chef round with them! They share recipes, have flexible meal times, made to order meals, and allow their family to eat with them. Another great way to encourage collaboration among the entire service line is to publish scores and results for all teams. Change is a collaboration of many points of view. They all need to be part of the change. This includes inviting your patients to provide their experience with the service line. Patient stories are the best way to learn. Have them come in and talk to the staff to share their stories. Then have the team come up with a plan based on what they heard. Experience based design will surely promote the pathway to service excellence. The final key success factor for optimal patient experience is real-time technology. Our panelist all agree that technology must be more than “workable”. Technology should go beyond just data collection. It must deliver actionable data, which for many organizations is a work in progress. A strong rounding solution is reported as the biggest driver to improving patient experience scores. The solution should promote natural interactions between patient and caregiver, simple to use, flexible to organizational needs, and provide consistent usability in a secure platform. The visibility a rounding solution provides allows leaders to not feel blind sighted to patient issues. You don’t have to look too far to find a technology that can help you implement your made-to-order recipe for patient experience success. CLARIFIRE HEALTH offers an easy-to-use mobile application that is as simple as tap, swipe, and go! Intuitive usability combined with a robust workflow engine captures metrics, preferences, and trends in real time. Paper processes are eliminated, issue escalation is automated, and solid reporting is available with just a few quick clicks. 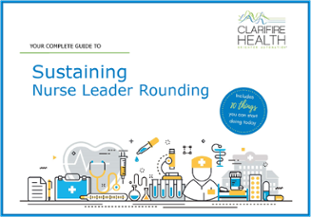 Let us show you how to operationalize your rounding needs with CLARIFIRE HEALTH.